Credit is an important component in helping you obtain the best possible terms when borrowing to purchase a home. The way you handle credit obligations can greatly affect your loan choices and the interest rates you are offered. In short, the better your credit, the more loan options you will have when choosing what’s best for you and your financial goals. Pay what you owe regularly and on time. Have or sign up for a checking, and a savings account. Keep your total debt-to-income ratio under 36 percent. Do not exceed or continually increase your line of credit. Put together a budget and keep track of your spending. Your lender will review your credit report when attempting to determine which loan products are best for you. Your credit report is compiled by the credit bureaus and uses your credit history, to develop your credit score. Scores range from 300 to 900. The higher your credit score, the more likely you are to qualify for a loan with the best interest rates and product features. Not sure about your score? It’s wise to obtain a copy of your credit report at least once a year in order to find your FICO score. You can obtain your report for free once a year from each of the three major credit bureaus at www.annualcreditreport.com. It’s especially important to figure your score before making a large purchase, like a house or a car, in order to review for accuracy and find out how you can work on improving it, if necessary. You’ll see the consumer credit given to you over the past seven years and be able to check your highest balance and current balance on outstanding debt, as well as see details about on-time and late payments and collections. Your home mortgage consultant should be able to help you better understand what your score means. If you have less-than-perfect credit, you should know that lenders typically are more concerned with how you’ve handled your recent credit than with what happened years ago. But even if you have a blemish on your credit history, don’t let that stop you from buying a home. Buying a home “and paying your mortgage on time each month” is a great way to build your credit. 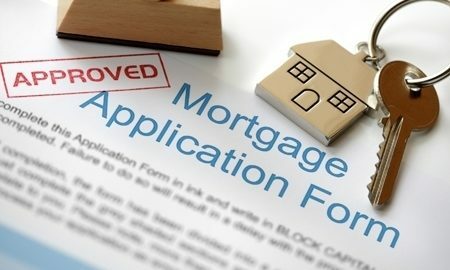 If you’ve got credit questions, your first step should be to contact a trusted home mortgage consultant who can help you find the right loan product to help you attain the home of your dreams.